Here we present the best gadgets available right now in 13 key categories, to save you the hard work of doing all the research yourself. In short, if you're starting from scratch and want the very best there is, then this is your new shopping list. This list will only be updated when something new emerges that is capable of toppling an existing product from its perch – there may therefore be months when the 13 products featured here don't change. Is the iPhone X the best phone in the world? Yes. But only by a whisker. The Galaxy Note 8 is so close, while Apple’s own iPhone 8 Plus gives you so much of the iPhone X benefit without such super expense. 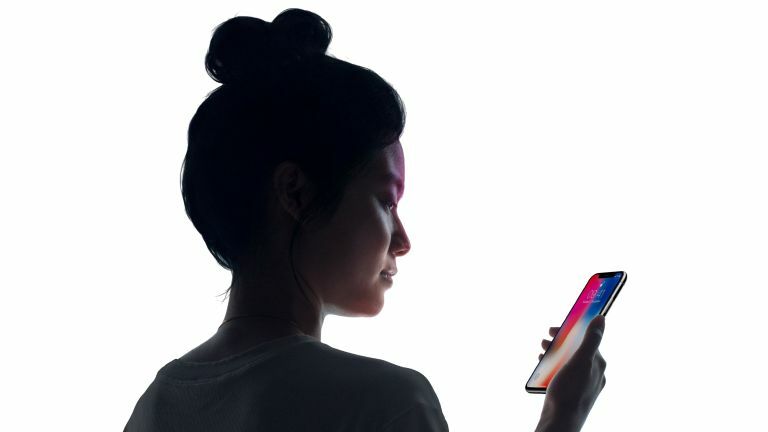 In the end though, it’s the seamless marriage of software and hardware that’s so effective in the iPhone X, and that’s especially the case when it comes to Face ID, which is just super. It’s what Apple is so good at. It’s why the iPhone X is the best phone, just ahead of Samsung’s devices and – sorry Google – streets ahead of the Pixel 2 (although it has a pretty decent camera), and why it's one the of best gadgets you can own. "Unsurprisingly, given the heritage behind the Naim brand, the sound quality is superb. The resolution on more delicate tracks is a beautiful thing, while there's enough power to blast through anything more challenging with aplomb. Naim specs say the Mu-so sports no less than six 75 watt digital amplifiers, one for each of the six custom-designed speaker drivers, delivering a total of 450 watts of power, and it certainly sounds like that's true. Overall, it's a stunning object in it's own right, and as an audio tool it's brilliant. " Apple has improved things in three key areas from the 9.7-inch iPad Pro this replaces - our previous king of tablets - the amount of space to work, the quality of the display, and the performance. The move to a 10.5-inch screen with a higher resolution of 2224 x 1668 adds around 20% more area, while keeping the same sharp pixel density (and barely any extra size to the chassis, thanks to the new design). Items on the screen generally stay the same size as they were on the 9.7-inch model, but you have more space to play with, and it allows for bonuses such as the on-screen keyboard (and attachable Smart Keyboard) being just about full-size, which does help for typing speed. The size difference is subtle overall, but it’s instantly obvious if you work in Split View a lot. The current big battlefield in audio tech is noise-cancelling, over-ear headphones. The Bose QC35, Sony 1000X (both of which have updates hitting shelves now), the excellent Beats Studio 3… they’re all fine headphones. However, PX, the first noise-cancelling Bluetooth cans from British speaker legend Bowers & Wilkins, is narrowly the best of the lot. The sound quality, adjustable noise-cancelling and battery life (20+ hours) are excellent, as is the case with all the current wave of such headphones. However, B&W’s PX adds better styling, easier-to-use controls and some motion-sensing features (pull a cup away from your ear, or take the headphones off, and the music pauses) that actually work. Brilliant. Whatever way you look at it, the 55-inch Sony A1 is a drop-dead gorgeous OLED TV. The design is elegant, and image quality outstanding. The A1 doesn’t use a conventional pedestal stand, instead it leans back on a hinged support which also contains an integrated subwoofer. The set doesn’t use conventional speakers either. Instead it boasts Acoustic Surface technology. On the rear of the panel are a pair of sonic actuators. These vibrate, to create stereo sound that emanates from the panel itself. While the actuators produce high and mid-range audio, the 8cm subwoofer handles bass. With the screen also effectively the speaker array you might very well think this would inevitably cause distortion to the sound, or issues with image quality. Well, you'd be wrong on both counts, and with a total audio output of 50 watts, the end result is astonishingly good. Thanks to Sony’s 4K HDR X1 Extreme image engine, picture quality is also outstanding, with both 4K and HD sources. Blacks are deep, detail high and HDR wonderfully effective, with HDR10, DolbyVision and HLG are all supported. The set’s object-based HDR remastering also does a brilliant job boosting highlights on material filmed without HDR (standard dynamic range or SDR). The smart platform, Android with Chromecast built-in, is a bit ‘meh’, but you can't have everything. Console yourself with the 4K content on Netflix, Amazon Video and YouTube. A YouView app replaces the standard Freeview HD programme guide, combining live TV with catch-up TV services such as iPlayer. Overall, a hugely impressive high-end TV that more than justifies its price at 55 inches, even if the 77-incher is a slightly more sphincter-tighteningly priced, at £20,000 rrp. Building nicely on Series 2, Apple Watch Series 3 now features a cellular connection, allowing you to use the smart watch free from an iPhone or WiFi network. You can even make voice calls over cellular, again, without an iPhone present. The Apple Watch Series 3 is exactly the same size as the original, but you'll notice a minor redesign, in that the digital crown is now coloured red (for Cellular models only). While there's also a new Rose Gold colourway, as well as a host of new Apple Watch Bands (including a few beautiful Hermés ones). Throw in the fact that it comes running watchOS 4, with a new updated UI and faces, and it is the obvious choice for those looking for a premium smart watch. "It's futile to deny that Sky Q is brilliant. [It is] a seamless experience in an age where the connected home remains a bit of a hotchpotch. So, while it's expensive and has quirks and missing features, Sky Q is a brilliant system that takes TV watching to another level. It also becomes very easy to use very quickly. If your main TV is in constant demand (and/or you want multiroom) and you're happy to pay the extra to upgrade, Q is for you." The pinnacle of Garmin's many years of building fitness wearables, this is way more than a running watch. Pair it with Garmin's smart cardio strap and it'll tell you everything from your average pace to cadence and running oscillation. However, it's also 100% waterproof, and can also be used for pool and outdoor swimming and when linked to Garmin's huge range of accessories, it becomes a wrist-mounted bike computer. Best of all, it delivers genuinely useful metrics, with a training load calculator, a decent recovery time estimator and personalised Training Status and VO2 Max score. HP's most luxurious laptop borrows the Lenovo Yoga 900S's style and the MacBook's bag-friendly dimensions. The Spectre 13 is so thin that tapping away on its tactile keyboard almost feels like your fingers are tap-dancing on the table. Its biggest advantage over the MacBook is its Intel Core-series processor inside, which lends it the winning combination of dazzling looks and computing muscle. Packing three USB-C ports for hooking up peripherals (note that you'll need a converter to use your old USB-A ones), the Spectre 13 doesn't just look like a laptop from the future - it has one eye trained on it too. The Echo Spot, or the alarm clock Echo, is kind of a cross between the Echo Dot and the Echo Show. It only has a small speaker, so you plug it into one you've already got for an audio boost, but it does have its own 2.5-inch screen and it looks great and is easy to place. That screen can be used for everything from weather forecasts to video clips, too. It can also handle video calls, thanks to the small camera built into its frame. Whether you use it as an intercom, smart home hub, alarm clock or audio system controller, the Amazon Echo Spot is a very cool little thing indeed. Managing to turn the heads of even die-hard Nikon and Canon professional DSLR users, the Sony A9 leads the way when it comes to impressive technology. If you’re into your sports, wildlife or action photography, being able to shoot at a full resolution 20fps all while tracking focus - and what’s more - completely silently - means you’ll be able to capture those moments that your DSLR-wielding buddies miss. Other specifications include a 24.2 megapixel full-frame sensor, a viewfinder that manages to stay blackout free even while shooting at super-fast speeds, and a tilting, touch-sensitive screen. It’s simply impossible not to be enamoured by the Range Rover Velar. It’s stunning, comfortable, capable, and, above all, calming. But it’s the sheer amount of cool technology in this thing is which we love most - it feels like a real game changer. It features are super calm and luxurious cabin, an intuitive infotainment system, and has a tapered silhouette and a powerful but not overly aggressive stance. Basically, it is the ultimate lifestyle accessory.